WagAware Charm for Dogs - Rescue Bling is the New Thing! Home » Rescue Bling is the New Thing! WagAware is a charitable company committed to giving homeless dogs the life they deserve. WagAware sets out to create a universal symbol that lets the world know you and your dog care about dogs in jeopardy. WagAware wants to give every dog lover an easy, accessible, fun way to give back to dogs in need and the opportunity to unite with millions in a deliberate, large-scale effort to help homeless dogs. Ultimately, WagAware’s goal is to raise substantial awareness and funds to help reduce the number of homeless dogs euthanized every year. To date WagAware has donated over $100 000 to various dog rescue and welfare groups across the US. 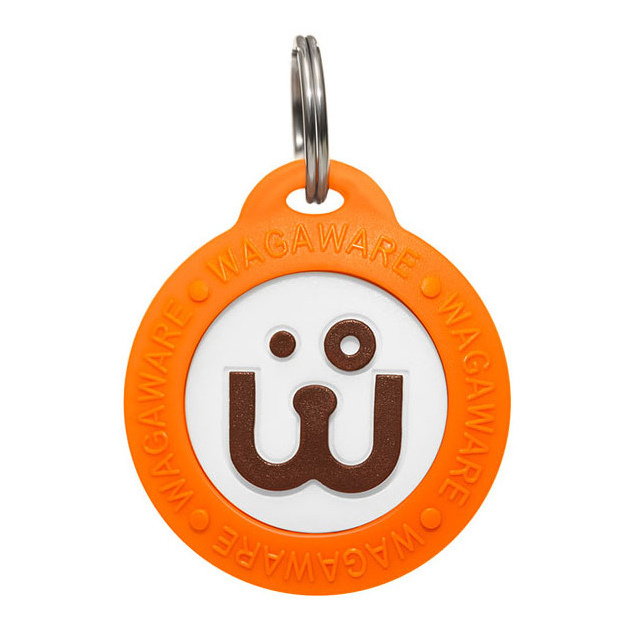 The WagAware Charm is the only charm that saves dogs’ lives. When you or your dog wears a WagAware Charm, you encourage the adoption of dogs in need of loving, forever homes. Plus, WagAware donates an unprecedented 50% of its profits to shelters, rescue groups and animal welfare charities. That’s $1 donated to rescue dogs for every $1 it keeps as profit. From June 1-30, WagAware will donate 50% of all sales to Save a Shelter Shih Tzu Rescue (SASS Rescue). Product Attributes: Official symbol promoting dog adoption and rescue. Glows in the dark for extra safety at night. Noiseless and reduces the “clinking” noise of other tags on your dog’s collar. Product Description: One size fits all. 1 1/4″ diameter (about the size of a quarter). Double-sided design. Special PVC vinyl won’t absorb moisture or harbor bacteria. Rinses clean in seconds with mild soap and water. Made with anti-microbial, non-toxic, sustainable/recycled, vegan materials. Collar Attachment: Attach charm split-ring to the “D” loop of your dog’s collar and make sure the collar is not too loose, so the charm is not accessible to your dog’s mouth. You can also add charms to the top of your dog’s leash, your keychain or wherever you and your dog like!